Radar detectors can be helpful while riding a motorcycle when used the right way. 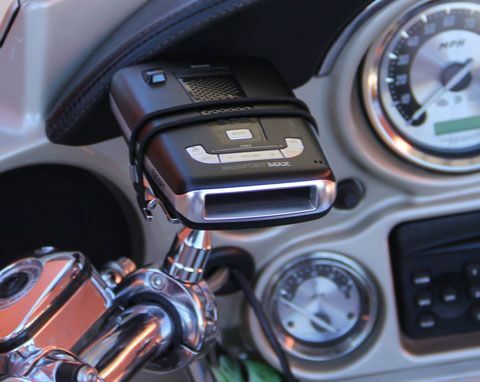 While a number of people and traffic officials consider this a dangerous device, if you use a radar detector on your motorcycle in a correct manner you will benefit from it. One major benefit of this device is that you can avoid the areas which are prone to traffic congestion and jams. Here are a few tips on how you can use it effectively. Once you find the right radar detector meant for your motorcycle model, it becomes easy to mount it. You need to find a kit that fits properly and comes with all the required accessories you need. Placement of a radar detector is very important. You need to ensure that you mount the radar in the right place for best usage. 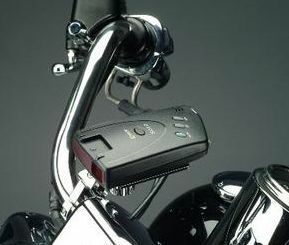 Most of the radar detectors can be mounted on the handlebar of the motorcycle; however a few models need to be attached to the rearview mirror of the bike. You need to see where you are most comfortable in placing the radar so that it does not come in your view or disturb you while driving. This is essential because if you have not selected the right mode for the radar, you may get distracted while riding. You must not adjust the settings while riding. It something that is risky and must be avoided in all conditions to avoid any mishap. Make sure you set the radar detector for settings like the frequency of the signals, threat urgency, and severity each time before you begin your journey. This takes only a few minutes and helps to keep you safe. Always make sure you select the city mode when you’re riding within the city and switch to ‘highway’ mode when you’re on the highway. Choosing the right mode will help you focus on your journey. While it’s not safe to keep looking at the radar detector while riding, but it is essential to observe the alerts. Although it can be distracting, make sure you do get the right updates without bumping into another vehicle. It’s similar to looking into your rearview mirror and once you’ve mastered the art of checking the radar detector quickly, you’ll enjoy its benefits. You must get the right app installed on the radar detector to get the updated information about red light cameras and police surveillance team on watch. There are a few high-tech radar detectors that come with a built-in audio feature. This is a safer option since you no longer need to check the screen for updates while you are on the road. The audio informs you about the various situations on the road. Although these devices are a little more expensive in comparison to the normal radar detector, it’s great for new riders who are not confident about getting their eyes off the road even for a brief period. Radar detectors are very convenient when used in the right manner, however, you need to ensure your city permits the use of this device before you install it on your motorcycle. May 15, 2016 by	Robert C.